Whether you are a serial charterer or you are planning to purchase your very first yacht, the experience of enjoying a luxury yacht remains unique. Choosing your vessel requires many aspects to consider. This September 26th, the Monaco Yacht Summit welcomes new potential superyacht clients – or their reps – to discuss the current issues about first-time chartering or purchase of luxury yachts. The subjects will be discussed in casual ambiance to enable an effortless flow of dialogue. Monaco Yacht Show look forward to welcoming you to this exclusive and informative programme. Free-of-charge programme exclusively reserved for qualified and identified delegates. Schiller Water Bikes combine the simple pleasure of a bike ride with friends and family, and a glorious trip out on the water. Schiller is a water bike above the rest. Safe and stable in open water; superyacht owners and guests can jump straight on the bike, no training needed. No helmets, no paddles and no limits to exploring any aquatic paradise. It can even go in reverse! The bike can be assembled in less than 10 minutes and has a compact footprint that will easily fit in most boat holds and cars. It’s also portable by foot from the tender to the beach as it separates into easy to carry pieces. The original S1 model has an anodised aluminium frame, is equipped with a proprietary drive train and comes with a durable, urethane coated outdrive and white 1100 denier, rugged pontoons. It even has a watertight compartment for drinks and snacks. Hailed as “the world’s most radically redesigned bicycle” the newer upgraded S1-C is the best water bike in the world. Constructed out of marine grade alloys and stainless steel, it has proprietary propulsion, a high gloss carbon fibre outdrive, integrated handle bar steering and rugged high-pressure, drop-stitch pontoons (slimmer than the original S1) that allow for easy transport, assembly and breakdown. Cruising speed is 4-5 mph and the S1-C can achieve speeds of approximately 10 knots per hour (10 mph / 16Kph) depending on rider ability. Schiller Bikes was founded on the daring belief that people should be able to bike across a blue planet. Developed with state-of-the-art engineering and design, the Schiller S1-C and S1 are simultaneously revolutionising yachting, water sports and cycling industries, enabling millions of people around the world to have an exhilarating, dynamic and safe biking experience on the water. This is the next frontier in biking and water sports. One that has no learning curve (or paddles or uncomfortable seating in kayak hulls), and is accessible to all for fun, fitness, touring and adventure on almost any body of water. With nearly one billion bikes around the globe built for land, Schiller is singularly focused on delivering its customers epic rides, trailblazing voyages and incredible sunset spins on a new aquatic terrain. This September 27, the Monaco Yacht Show unveils their exhibition of 125+ extraordinary one-off superyachts built by the most reputable shipyards and exhibited by the most influential brokerage houses. Superyacht owners, future clients and industry influencers will turn their focus exclusively to the MYS, where 42 new launches will be displayed in a worldwide debut. Click here to discover a preliminary list of the luxury vessels that will be exhibited at the Port Hercules of Monaco, home of superyachting (this list will be updated regularly until show opening). Each year, the Monaco Yacht Show curates an exhibition of 125+ extraordinary one-off superyachts built by the world’s most respected shipyards and welcomes leaders from the yachting industry. 580 exhibiting companies and partners participate in the growing success of the MYS. Monaco provides the ultimate showcase for industry influencers from the most reputable superyacht builders, award winning yacht designers, luxury suppliers, influential brokerage houses to the most sought-after tenders and water toys, prestige cars, helicopter and private jet manufacturers. A Season of Success for Porto Mirabello, La Spezia, Italy. Still a relatively new marina, built out of the sea in 2010, Porto Mirabello is enjoying a very busy and successful summer season in 2017. This year they have noticed a marked increase in seasonal transits hosting 55 % more superyachts in 2017 compared to the previous year. As the only dedicated luxury marina for superyachts up to 130m in Italy, many of the most exclusive yachts have stayed at the port in the last few months including MY Savannah, MY Main, MY Grace E, MY BookEnds, MY Just J’s, MY Achillies, MY Emuna, MY Romea, MY Samar and MY Serenity. Owner of the marina, Alessandro Menozzi commented, “We have worked hard to ensure our marina has all the services and facilities needed for busy yachts. We make life easy for Captains who visit the marina, providing a 7* multilingual concierge team who will solve any problem, and help to make staying at the marina the preferred choice for every yacht. Location plays an important role in deciding which port to visit, whether you are a charter or private vessel. Porto Mirabello, in La Spezia is in the middle of a city full of cultural highlights, and next to the most prestigious locations in Italy such as Forte dei Marmi, Viareggio and Portofino. Porto Venere is just 2NM, Forte Marmi a short car journey and you can be in Milan in 45 minutes from the helicopter pad. The marina, nestled in the Gulf of Poets, is also among the most sheltered in the world. Security has been an important factor in why more yachts have stayed at Porto Mirabello. The team has achieved the approval of the Port Facility Security Plan, which is necessary for the alignment of the harbour structure for the International Ship and Port Facilities Security Code certification. This means the marina has greater control measures in place for access to areas intended to host yachts greater than 500 tons, and owners and Captains can enjoy a completely private space in the Megayacht Quay and Poets Lounge and Terrace. Porto Mirabello offers a unique combination of an elegant, clean and luxurious marina with top level superyacht services, packaged with the convenience of having a dedicated shipyard on site, and the back up of 80% of the most important Italian shipyards within 22 NM of the port. Follow Porto Mirabello on social media to find out about the latest activities and many new improvements to the port. 650,000 views in 6 months makes YACHTNEEDS Superyacht App stand out from the crowd! YACHTNEEDS superyacht app is on its way to dominating the yachting industry with its digital platform for Captains and crew. In almost 2 years YACHTNEEDS has gone from a company of 2, to a company of 20 and has some pretty incredible statistics to back themselves as the leading superyacht app for Captains and crew. A total of over 650,000+ views globally in the last 6 months makes YACHTNEEDS an app worthy for crew to have on their phones. But why do they use it? 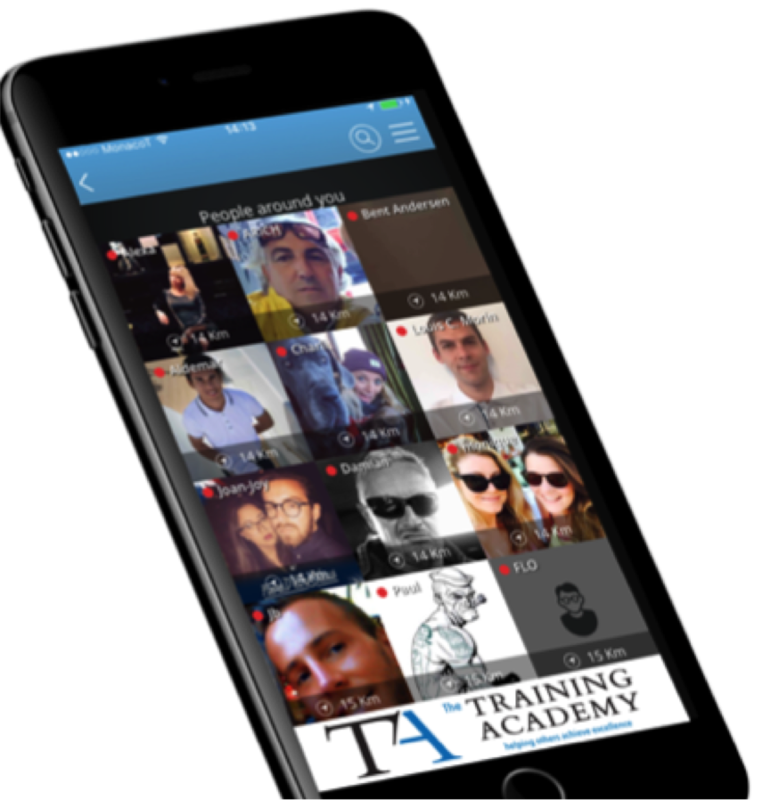 Talking with their 18,000 active users YACHTNEEDS established that crew don’t have the time or space in their phones for lots of different superyacht apps. They like that YACHTNEEDS has everything in one platform and that the app is ‘made by crew, for crew’. Currently the app has three main functions. The JOBS section provides the only ‘one click’ apply jobs portal for crew looking for work. A resume is generated from the user profile, agents and Captains post their jobs free of charge and the app only allows crew to apply for jobs they are qualified for. YACHTNEEDS CHAT is an incredible social function (referred to as Tinder for Yachties). It works by showing a network of people in the crews current port, or they can search further afield. Crew can chat live with other yacht crew in that area, see who is nearby and who will be in the next port. Nights out are arranged, day workers are hand picked and there has even been a romance or two. The DIRECTORY section allows crew to find the best English speaking local contacts in the port they are moored in or heading too. Using the advanced search function they can find all the suppliers and services they need by keyword search, voice activation or selecting a category. From this they get maps to shops and offices, links to websites and full contact details. Currently the superyacht app has over 600 ports and their contact details and amenities, 24,000+ geo-positioned businesses in the Med, Caribbean, Americas and Asia Pacific and give Captain and crew fast and efficient information wherever they are in the world. Founder and ex first mate of Zoom Zoom Tony Stout explained, “I started the app because I was on board, in a port I had never been to before, we had a short turn around and no one knew where the local shops were, or if they would have the supplies we needed. Google didn’t help us and it was a very close call. “Throughout building the app and every time we make an upgrade or add a feature it is because my friends who work on yachts all over the world give me a problem to solve. “Chat was born because we’ve all missed good friends who have been in the same port for a night or two but didn’t realise who else was in town. Jobs was added because I kept hearing that yacht recruitment was still a minefield and there was a need for a verified platform that made it easy for crew to find and apply for the jobs they wanted. “I’m overwhelmed by the feedback we’ve had so far and really excited because we have some very special new features in development for chat and search that will be ready later this year. Search for YACHTNEEDS in the app store and Google Play and download the app for free. If you would like to contact the team please email app@yachtneeds.net. 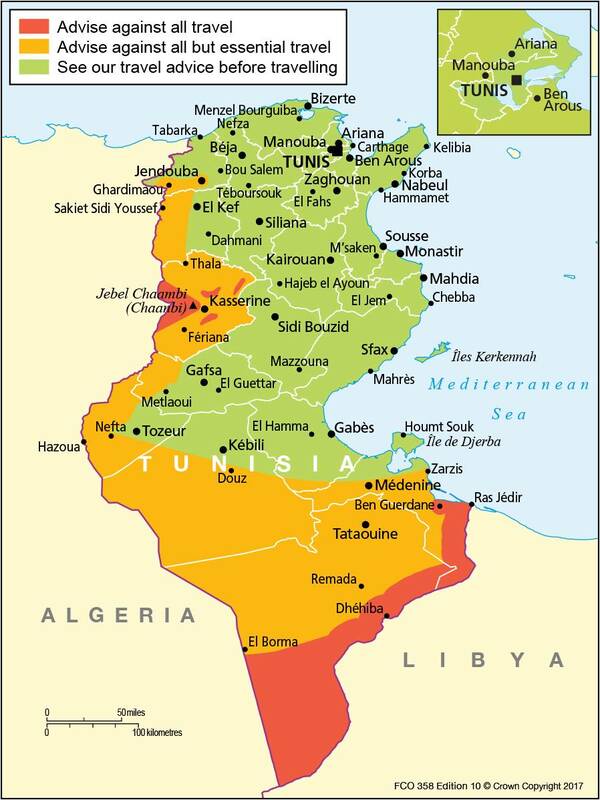 Yacht Services Tunisia have been supporting superyachts in Tunisia for many years and now welcomes existing and new clients to once again visit this independent destination. Based in Port Yasmine, Hammamet with offices in Bizerte and Gammarth, Yacht Services Tunisia are located well within the ‘green’ safe zone and can offer duty free fuel, expert customs and immigration clearance, provisioning, tours, excursions, air travel and transfers. The English, French and Italian speaking team are perfectly placed in the nearest non EU country for the Mediterranean superyacht community. Port Yasmine offers berths up to 100m, Bizerte 110m and Gammarth 35m. FunAir Mediterranean Partner VSS opens official service centre. FunAir have a reputation for building great partnerships. The American based Yacht Toys manufacturers has announced that they are expanding their partnership with Versilia Supply Services who have been a European distributor for FunAir since 2014. Versilia Supply Services will open an official FunAir service centre providing cleaning, drying and maintenance servicing for all FunAir products. The Global Yacht Supply company will offer to pick up your toys and will make sure they are clean, dry and ready to inflate the fun before dropping them back to the yacht. Perfect for busy crew, and yachts that don’t deploy their toys for longer periods during yard time, or when the owners are away and want to make sure they are packed and stored correctly. The FunAir Service Centre will be based out of Versilia’s head Office in Viareggio. Servicing will be available for superyachts throughout the Mediterranean and there are plans to open additional service centres in some of the other 10 global Versilia offices. To contact FunAir directly please email yachting@funair.com, or call +1 512 751 4276. To contact Versilia Supply Services please email info@versilia.it, or call +39 0586 090187.
bluewater and Da Gama Maritime join forces to provide MCA-certified onboard training. Bluewater has for many years been providing high quality training ashore in Antibes and Palma and more recently, through the amalgamation with ICT, in Florida. Da Gama Maritime (DGM) have in the meantime been providing their bespoke onboard fire training for many years with a strong reputation for setting new high standards in bringing crew up-to-speed on the most effective techniques to help maintain their safety. Both companies have now combined forces to bring crew the advantage of high quality onboard training and approved certification. MCA accreditation is available to attendees in Advanced Fire Refresher and Crisis Managementcourses conducted on board. Although able to provide MCA certified courses to the crew on board, the bespoke training DGM offers is still available to bluewater clients and includes additional discounts. This training includes chart outfit maintenance, navigation procedures and fire training and is particularly suited to new build vessels. DGM is a business that provides navigation management and crew training to the maritime industry. Established in 2009, they have grown rapidly through reputation alone due to the experience, knowledge and professionalism of their team each of whom have served at sea for at least 20 years. DGM provides onboard firefighting training with bespoke packages for vessels of any size and their professional maritime fire trainers regularly work with superyachts and commercial ships in crew training, equipment surveys and revision of firefighting procedures and equipment supply. Conducting this onboard the vessel allows procedures to be examined, discussed and if necessary amended while also giving crew the ability to be trained on their own equipment, in their environment. Founded in 1991, bluewater was created from the ground up, first as a crew placement agency, then quickly expanding to incorporate crew training, yacht charter, brokerage and management. With state-of-the-art training centres in the major yachting hubs of Antibes, Palma and Fort Lauderdale, bluewater is the world’s largest dedicated yacht training provider. Our 60-strong team of experienced instructors train crew in every yachting discipline, from navigation and engineering to diving, safety and silver service. Our courses are accredited by the MCA, RYA, SQA, USCG, AMERC, HABC and PYA, and by Lloyds for quality assurance. Bluewater’s training curriculum is modular and unified across our 3 centres, allowing students to seamlessly progress through their career from wherever they are in the world. For more information visit www.bluewateryachting.com or contact us at training@bluewateryachting.com or +33 (0)493 344 773.